The Classic is essentially a modern version of the original Aliner that has been in production for more than 30 years. 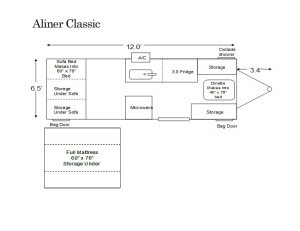 This is the basis for the design of every Aliner model, so it falls squarely in the middle in regards to factors like size, weight, and features. While it’s bigger and heavier than the Ranger 10 or Scout, it’s not as big or as heavy as the Expedition. If you’re looking for the “classic” Aliner experience, then the Classic is the model that you’re looking for. 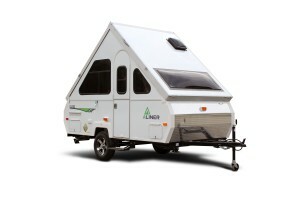 The Classic is the baseline Aliner uses to design all of its pop up campers. Like Aliner’s other models, the Classic has an optional “off road” package. This package includes 3,000 lb. axle and 14″ tires. The Classic also includes a lot of optional features that aren’t available from the Ranger or Scout, such as dormers (pop up sections that provide additional head room). The Classic includes an optional full/double mattress.